Bitcoin and the cryptocurrency market has just been recently developed. For many years the infrastructure was not sophisticated well enough to be able to short sell bitcoins in an easy way. 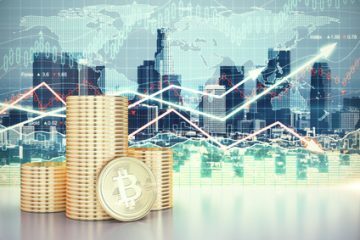 However by now many trading platform and brokers offer short selling solution for bitcoin as well among their ordinary service features. During a bitcoin short sale you are expecting the bitcoin prices to drop so you can sell now the bitcoins at a high price now then purchase it back later on for a lower price and give the borrowed bitcoin back to the owner while still keeping the profits from the exchange rate changes. When you short selling bitcoin and borrowing bitcoin as the first step, the trading platform supplies the required bitcoin amount from their own portfolio. Make sure you are familiar with all the rules and regulation about short selling on the given platform you want to trade as there can be differences in the terms. The most important point to look for beyond the price if the platform has any restriction on holding the underlying asset, like recalling the assets at a given point in time or rate. As this can lead to unexpected losses even if the market moves in the desired direction. You can short sell bitcoins directly on some platform or short sell bitcoin CFDs. In case of bitcoin CFDs you don’t own directly the borrowed bitcoins, but can still profit from the changes on bitcoin prices even without being familiar with the technological nature of cryptocurrencies. 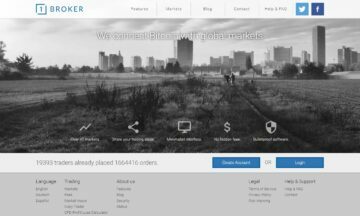 BitMex – BitMex is one of the most popular bitcoin broker on the market. 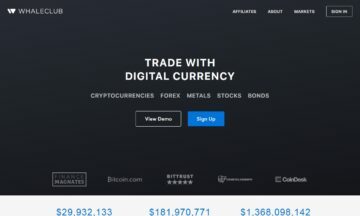 Beyond offering a lot of cryptocurrencies to trade with, it also has a couple of useful features to follow the market. It is easy to place a short order on the plaform but due to the many functions, the user interface can be confusing for newbie traders. BitMex uses a maker-taker fee schedule model, which means you can pay less in fees if you provide liquidity to the market. The good news is BitMEX does not charge any fees on deposits or withdrawals, all you need to pay is the transaction fee to the network when sending cryptos to and from the platform. 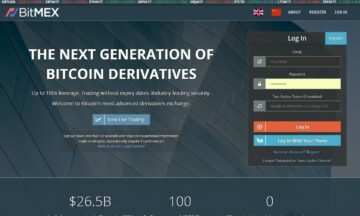 Deribit – Deribit is a trading platform that provides BTC Futures and Options to registered customers. It is really easy to short BTC on this website due to its user-friendly interface. The website focuses on BTC transactions which makes it a perfect choice for people that want a full crypto experience. What makes Deribit special is that they have a ton of features being offered on their website with Insurance for all their customer trades. The 20+ BTC Insurance makes sure that their customers are covered all the way making their customers feel comfortable and not left out. After several years of development, Deribit went live way back in 2016 and has continued to support their customers relentlessly every since with a very active team behind them and with the full support of their CEO John Jansen. Futures fees run for 0.02% for makers and 0.05% for takers. Options fee is 0.04% of underlying or 0.0004 BTC/option contract. 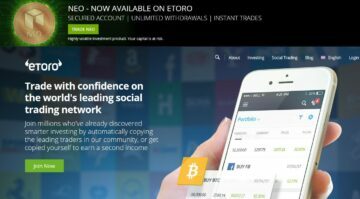 eToro –eToro has been making waves all throughout the industry due to the ability of their customers to copy successful trades by veteran traders. There are only a handful of trading platforms today that offer this service and there’s no doubt that eToro is definitely one of the best in the market today. Their platform is easy to understand, making it a no brainer to short with them. In addition, their leverages are awesome making it something that you should consider if you are in the hunt of the best places to short at. The approach to an already stale trading platform market is amazing and having the copy trade feature as their selling point is something that’s known all throughout today. Users will be able to short Crypto, ETFs, Stocks, Indices, Commodities, and Currencies with a maximum leverage of up to 1:400! 1Broker –1broker is a website that offers markets like Indices, Stocks, Crypto, Commodities, and Currencies (Forex) with the use of BTC. To place a position all you need to do is click any pair from their market list and you will be redirected to an order slip that will contain everything that you need to fill-up before completing the order. The website offers three main order types namely Market, Limit, and Stop Entry (limit) to their registered customers. In addition, the Stop Loss and Take Profit feature is always visible for all the available order types. Here at 1broker.com, just like eToro, they also have the ability for their customers to copy trades from successful traders. By clicking on the Social tab, you will be given the most popular trades and successful traders list to use to your advantage. 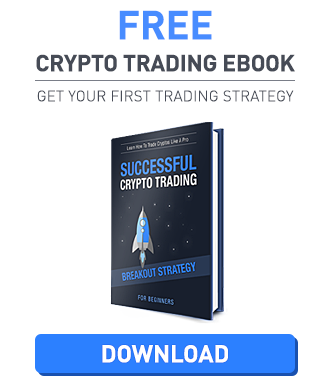 All-in-all, the website is great for shorting CFD’s with the use of BTC and an awesome leverage range. WhaleClub – (is offline) – WhaleClub offers the opportunity to short sell both Bitcoin, Ethereum, Litecoin, Monero and Dash. There is no minimum deposit on the platform and you can also top up your account directly with cryptocurrencies, like Bitcoin and Dash. The various order types help traders to manage the risk associate with shorting bitcoin, like stop loss or trailing stop. WhaleClub applies a no-fee pricing model, meaning there is no transaction fees related to trading everything is embedded into the spreads, which are available from 0.0004 on the crypto markets. Beyond this, the financing fee is levied on your active positions at the top of each hour. Bitcoin is started to be treated nowadays just like any currency – you can buy and sell them on the market. In the case of financial assets, shorting is a common strategy used to benefit from the expected decline in a given market. 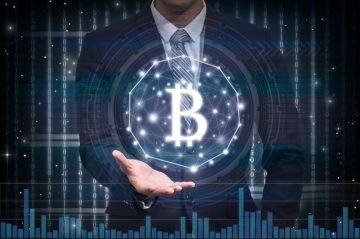 A forex trading and bitcoin broker platforms let you short bitcoin as well, just like trading with any other financial products. You just need to find the right place to be able to do that. What is shorting and short selling? In a short position, a trader is looking for the reduction in value of the underlying asset. The main motivation behind a short trade that the trader is expecting the market to go down for the asset in question, so the trader wants to sell it now at a high price and purchase it back after at a lower price level. The profit comes from the difference between the sale price and the purchase price. A short position can have various reasons from speculation to hedging downside risk of a prior long position where you have purchased the asset. However how can you sell something you have not owned before? The answer lies in the process of shorting. In order to engage in a short trade, you have to first borrow the underlying asset. Once you have the underlier you can sell it now at the current price level and purchase it back later on. Since the underlier is borrowed at the first place, the borrower will require the asset back at a later point in time agreed in the contract, so you have to purchase back the underlying security. Also, because of borrowing in the background short selling costs money, as the borrower requires some financial compensation for not bearing the asset during the term. 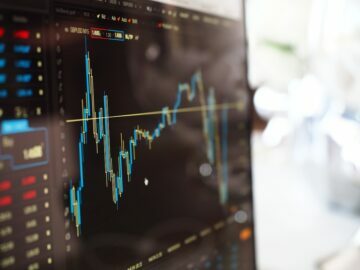 Current trading platform and brokers handle the background of the short selling as market makers, which means you don’t need to find a borrower directly on the market enough to click on the short button and the rest is handled in the background. Short selling beyond just speculation is a great tool for portfolio management. It also provides liquidity to the market, so it is an important feature of any market. However, theoretically the risk on a short sale can be infinite as if the price does not go into the favorable downside direction, the upside price potential can be unlimited. This combined with the larger amount of leverage available on the trading platform can lead to significant losses. Therefore it is only advisable to use short selling if you are experienced already on the market.